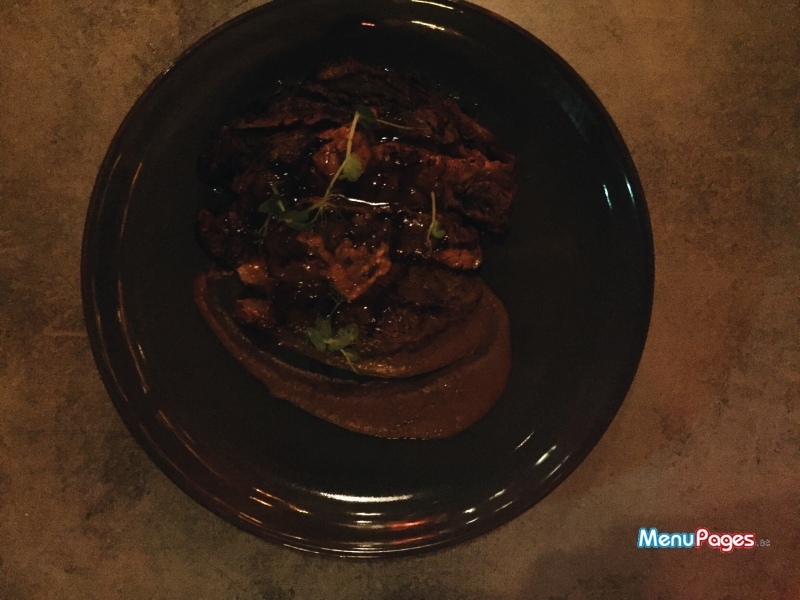 A community-centric restaurant, La Carnita is a Canadian export in Dubai Marina. 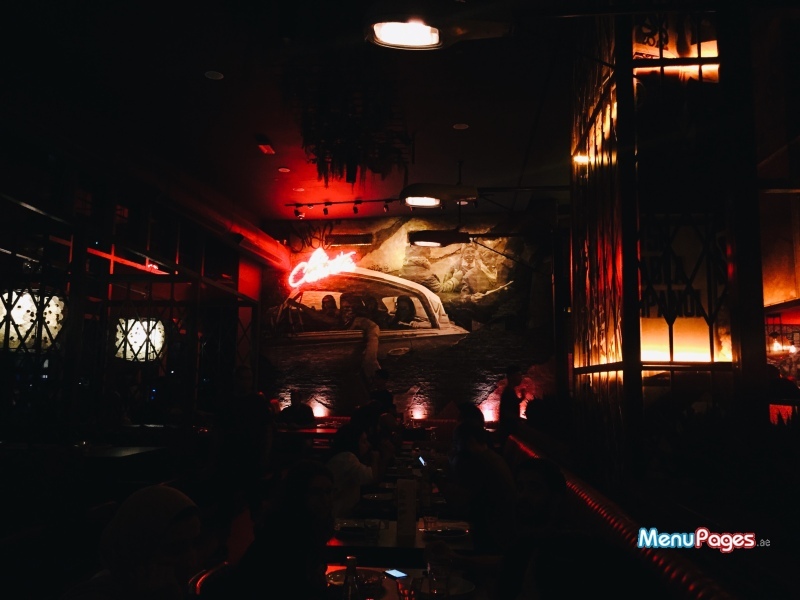 Its signature service, neon décor accents and Mexican eats have Dubai's cool kids lining up at its door. Its DNA is made up of three elements – tacos, churros and mixtapes. 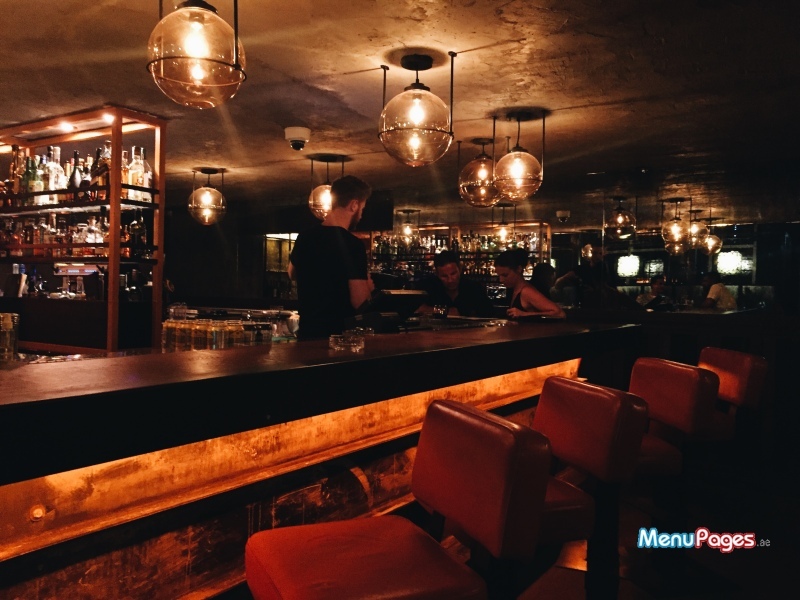 Quietly tucked away in the Intercontinental's belly, La Carnita boasts a seductive speakeasy vibe. Located at the Intercontinental in Dubai Marina, parking is handled by the valet. Remember to get your ticket stamped on the way out. Our welcome to La Carnita was right on brand. A larger-than-life hostess welcomed us with classic Canadian charm and walked us to our table; slap bang in the middle of the whole restaurant. North America is renowned for its over-the-top customer service. 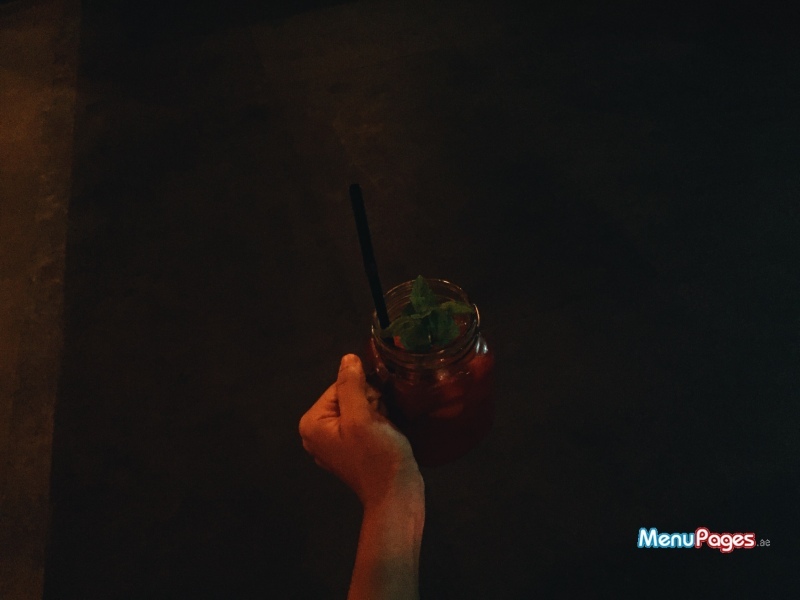 We got that with a fat dose of chill on the side, because after all, we're at La Carnita. Our main server was a charismatic Canadian, dripping in tattoos and smooth confidence. He knew the brand and its food inside-out. Dinner was a spread of Mexican street corn, the Cali salad, tuna ceviche tostada, cauliflower and Oaxaca cheese tacos, carne asada, churros and a red sangria. 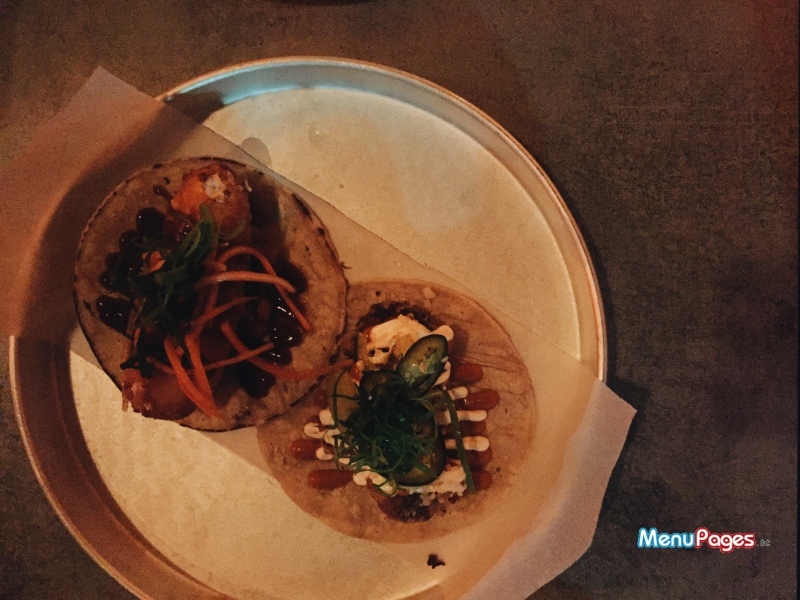 La Carnita can be boiled down to three things – tacos, churros and mixtapes. Look up Mexican cuisine on Wikipedia and corn will be mentioned 47 times. This grain has played a critical role in Mayan and Mexican cuisine. We'd be doing a disservice to the culture without ordering a round of traditional Mexican street corn. The internet is ablaze with pictures of Mexican street corn or “elotes” and my mouth has watered enough at the sight of them to fill an Olympic-size pool. 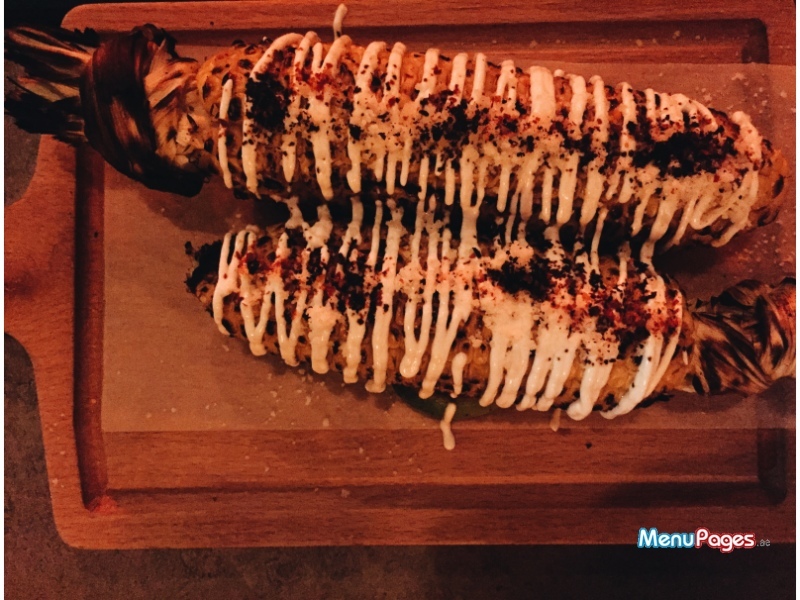 La Carnita's Mexican street corn is a visual stunner but doesn't walk the talk. While charred and sweeter than syrup, its flavor profile begged for some heavy handed spice. While I'm not a veggies-in-a bowl-as-a meal kind of person, the Cali salad won me over. Far from what the Kardashians are always grazing away on their show, this salad arrived loaded with goodies. 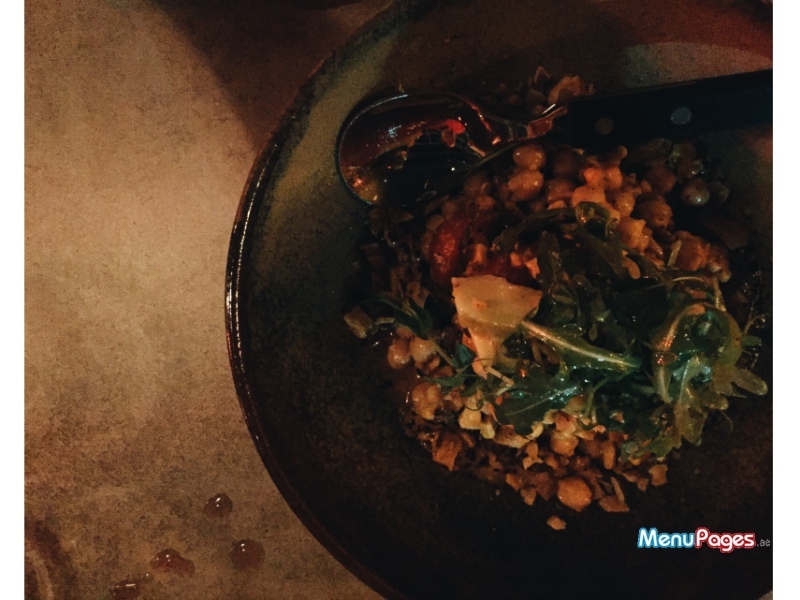 An explosive combination of fresh California ingredients with Mexican flavors – the bowl was a medley of grilled corn, black beans, chickpeas, pea shoots, sunflower seeds and avocado. Now that the formality of starters was out of the way, it was time for some tacos. 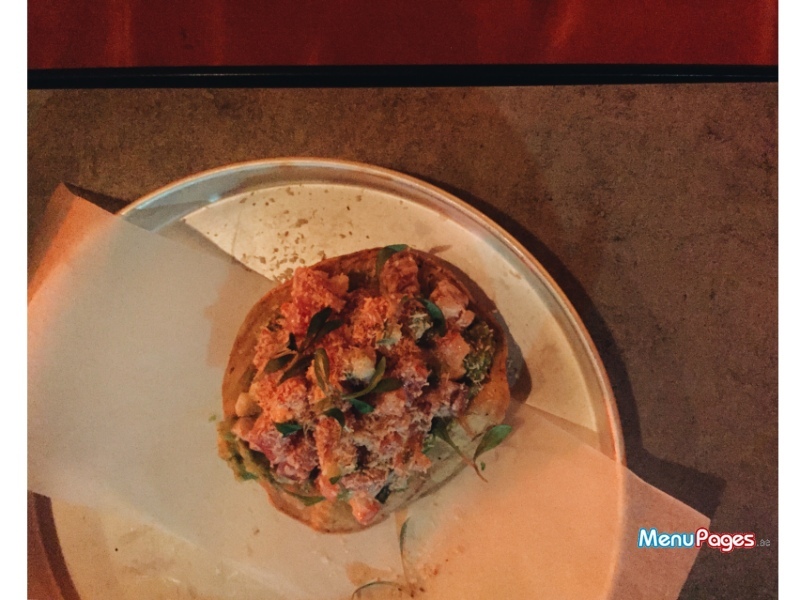 The waiter whizzed over with a tuna ceviche tostada and cauliflower and Oaxaca cheese tacos. The tuna ceviche tasted more refreshing than a cold lemonade on a hot summer day. The soft chunks of tuna embraced the crunchy tostada, making the whole thing a sensuous experience. The veggie tacos were miles from the slimy strips of bell pepper in a flatbread, that has become synonymous with vegetarian Mexican fare in Dubai. Each bite was a glorious celebration of balanced flavors and textures. The crispy cauliflower popped when paired with vibrant cuts of pickled celery and jalapeno. The Oaxaca cheese tortilla tasted like a hug wrapped in a hug. Our main course was a medium-rare carne asada. While we wouldn't question the quality of the meat, the flavor department needed more work. Its seared edges emanated a warm smoky taste. Served with a black bean crema, the steak could have benefited from having livelier flavors. And finally, before we could even eyeball the dessert menu, our server collected our plates and announced “So, churros next”. We were reduced to a pair of nodding heads. A bucket of three churros arrived and while we were already contemplating a second round, we could barely make it through two. Served in an indulgent pool of dulce de leche, we went to bed dreaming about them. 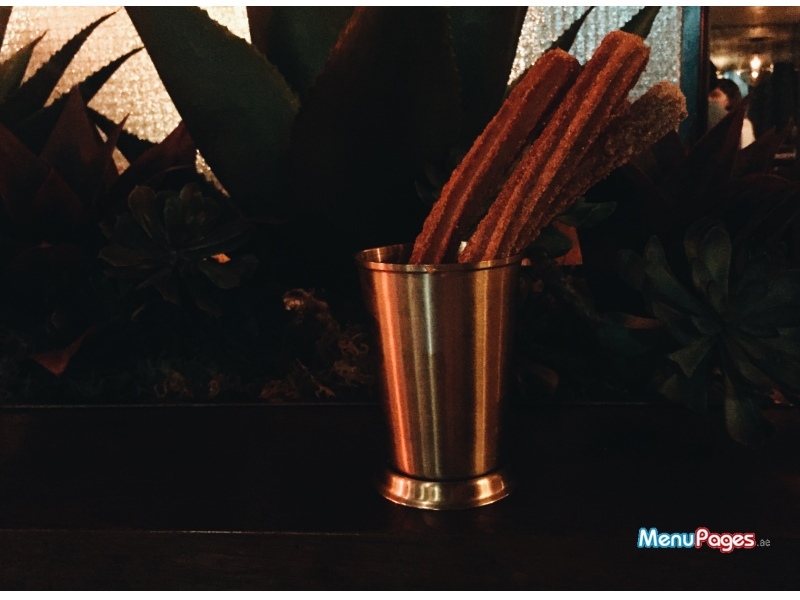 From old school carnivals to urban restaurants, churros never disappoint. La Carnita's service is smooth, the food is fast and the drinks are strong. Everyone from the maitress d' to our main server made us feel pampered. Just like its food, La Carnita's aesthetic is street. 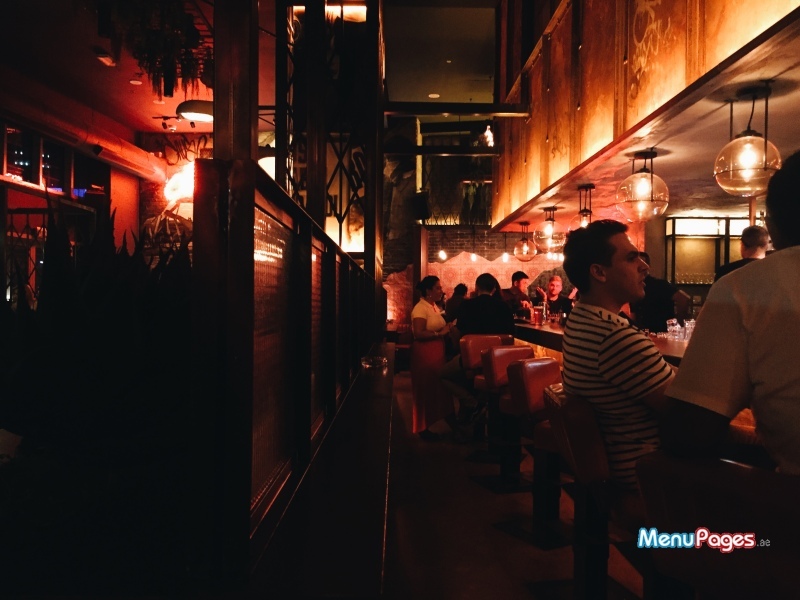 A glowing neon den of clinking glasses and tacos flying out of the kitchen, the restaurant has a soul of its own. La Carnita looks like a Daddy Yankee song sounds. The vibe is best enjoyed with a red sangria – fruity with a bold boozy undertone. Our dinner for two with drinks amounted to a 396 dirham bill. Yes! We have unfinished business with La Carnita's tacos and churros. Mexican street corn, avocado and mango salad, tacos, carne asada, churros and tres leches cake.